Deemed one of the most beautiful places in America, Sleeping Bear Dunes National Lakeshore is not all sand and surf. As plant life recoils for the winter, this sprawling landscape welcomes in an entirely new persona. A place for sledding, ice fishing, and hunting, Sleeping Bear Dunes comes to life in a whole new way. Follow this itinerary for the ultimate winter weekend getaway. In summer, the Dune Climb represents a long walk up to the top of a massive hill in exchange for a magnificent view of Lake Michigan. In winter, however, it gets even better...once you add a sled. The Dune Climb is the only place sledding is permitted in the park, and they saved the best place of all for that. It's a 110-foot wall of sand, so you know you're going to have one monster of a ride down a snow-slicked slope. Winter hiking can represent either some exciting new scenery or a significant challenge. 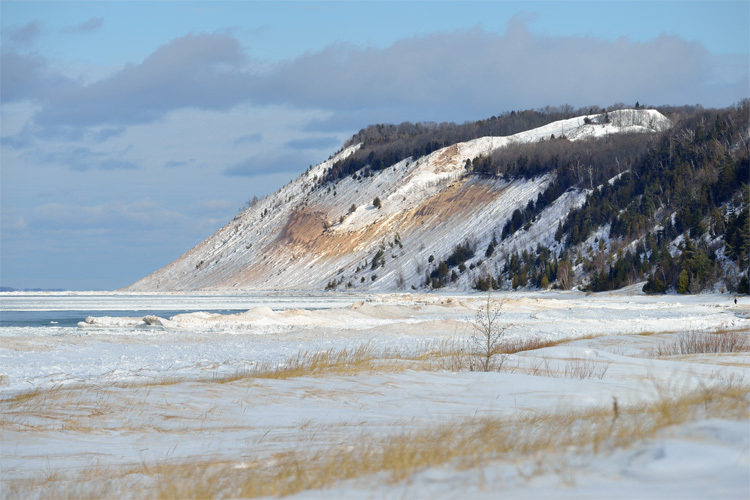 Done with or without snowshoes—your call on that one—the Empire Bluff Trail is one of Sleeping Bear's most popular hiking trails. A 1.5-mile round trip with hilly terrain, you'd normally be able to check out a wide range of Michigan plant life. Without the plants around—a common case in winter—you'll get to see wide flat expanses of glistening white. At the end, you'll run into a bluff overlooking the lake, which itself is a thrilling new sight in winter. 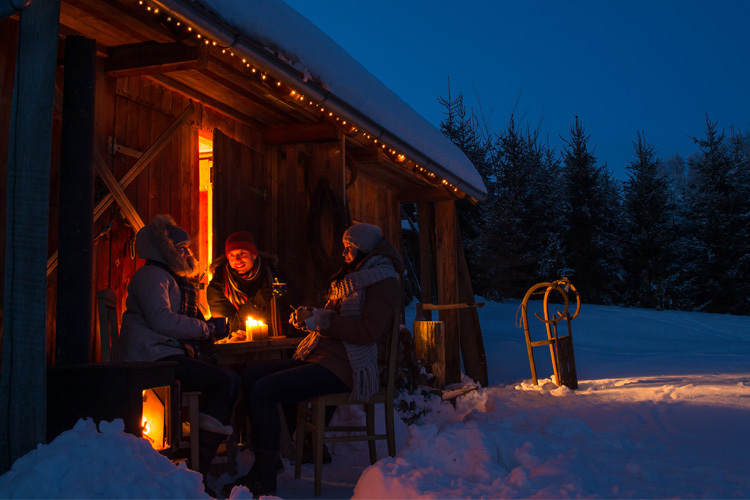 Winter camping is available at Sleeping Bear, giving you easy access to this fantastic weekend. 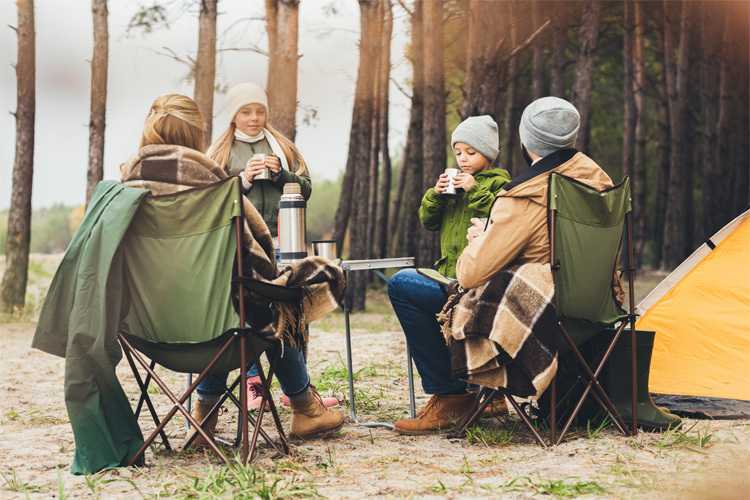 The Platte River Campground is the only Sleeping Bear campground that allows winter camping; so if you choose to brave the winter terrain, Platte River Campground has you covered! 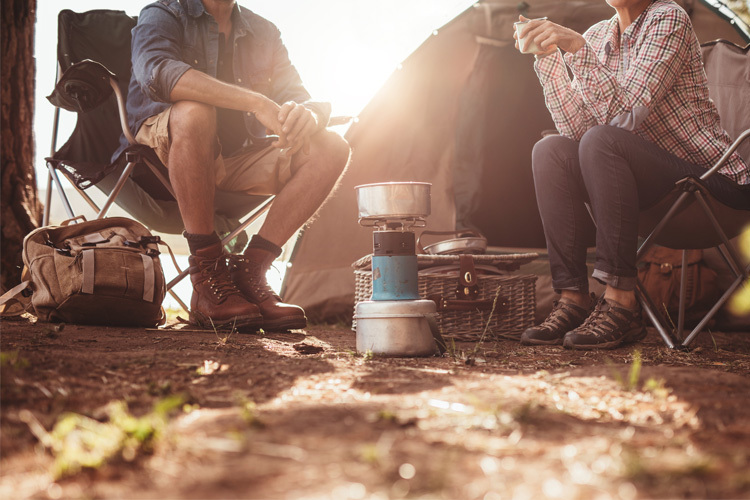 All manners of camping are accommodated here, from RV to tent, even a backcountry campground is on hand. Camp sinks and hot showers are available here, so you'll be able to warm up properly before a night out in a Michigan winter, which is a serious proposition by any standard. If you want a good fishing destination for your winter excursion, there are plenty of fishing spots at your finger tips—you are in Michigan after all. If you think you’ll have to travel far, fear not; there are plenty of lakes within the park's boundaries, so you'll have a ton of choices around here. What kind of fish are on hand? Try bass, panfish, perch, pike, and many more—depending on the lake. Recommended spots include Crystal Lake and Little Platte Lake. 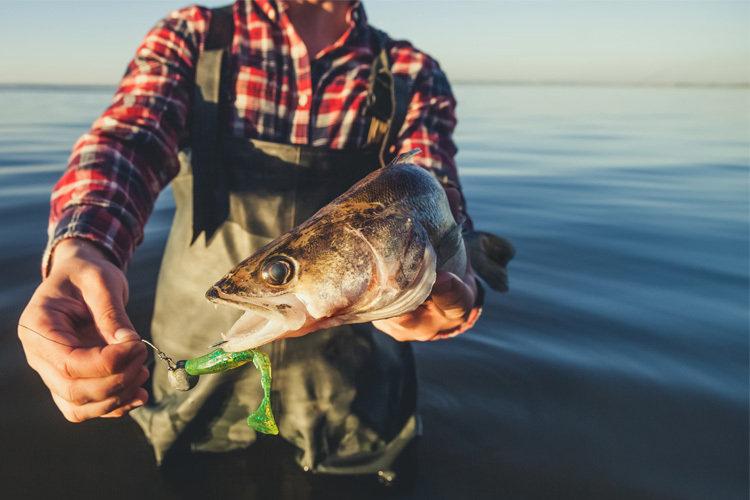 You'll need to make sure you have proper permits and are well aware of the state’s fishing laws and regulations. Leave it to the fine folks at Sport Fish Michigan if you want a stress-free ice fishing trip guided by some of the area’s best fisherman. They are sure to provide you with a top-notch experience, as they always do! Given that winter has an effect on hunting conditions, the majority of Sleeping Bear Dunes are open and ready for hunters. Whitetail deer, cottontail and snowshoe rabbits, ruffled grouse, weasel, skunks, woodchucks, and many more are available for hunting during the winter. Be sure that you have obtained all required permits and are aware of Michigan’s seasonal hunting laws and regulations before venturing off. Head about two hours east to the city of Evart, where you’ll find Meemo’s Farm. This highly recommended hunting preserve not only offers excellent guided hunting trips, but also shooting ranges, snowmobiling, ice fishing, fat-tire biking, and more. While you’re off “bracing temperatures and hearty appetites” as you hunt, you can also enjoy what the lodge has to offer! On the way back to Sleepy Bear Dunes, stop in LeRoy to indulge in local Michigan wine made at the Cadillac Winery. This winery offers a perfect break from the day with their chic tasting room and their lush vineyard. Their variety of wines ranges from their takes on classic flavors, like the spiced pinot noir called Velvet Blue, to flavored ones like lemon, green apple, and the famous blueberry wine made from entirely blueberries. Your tasted buds will be in overdrive when you taste the crisp offerings that they serve. A tour of the vineyard is always a must, so make sure to put on your warm clothing. Cadillac Winery makes for the perfect afternoon activity to round out your day of hunting. Some will be able to make a whole weekend out of the outdoor activities, but in winter, “getting in out of the cold” is a Michigan pastime. Fairly nearby Sleeping Bear Dunes in Interlochen is one of Michigan's greatest art installations: Interlochen Center for the Arts. Scheduled performances, concerts, and exhibitions routinely take place therein, so if you want to inject some culture into your winter weekend getaway, Interlochen Center for the Arts will provide in grand style. Naturally, you can't spend a weekend in a Michigan winter without the right gear, and one of the best places to get that gear is at Backcountry North in Traverse City. Traverse City has a lot of options—even a Gander Outdoors at last report—but Backcountry North has 40 years' experience in outfitting hunters, campers, fishermen and more. 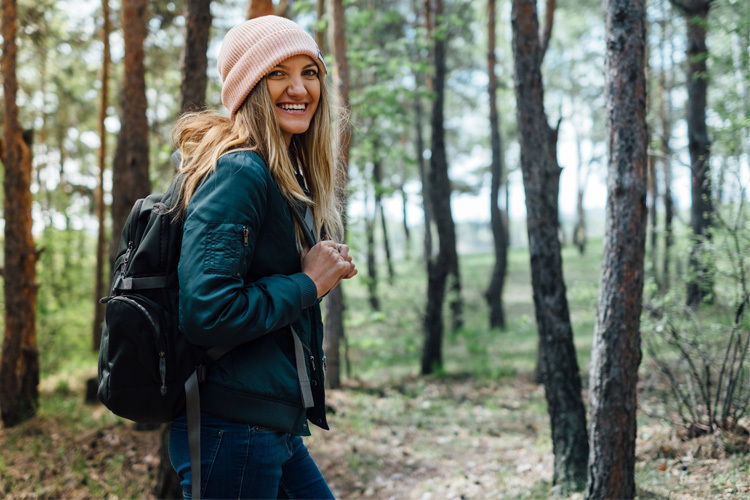 From backpacking gear to the warmest socks around, you'll find it waiting for you at Backcountry North. For many, the first thing that comes to mind when they think of winter activities is skiing and snowboarding. If you’re a snow sport enthusiast, you’ll be in your prime with Michigan’s ideal winter weather. Why not check out the local trails at Hickory Hills Ski Area while you’re in Traverse City? These trails provide excellent conditions for intermediate skiers and beginners alike. If you are in need of equipment, rentals are available at very reasonable rates. Get ready to cruise through the eight runs and various cross-country trails. At the end of a long day of exerting all your energy on the trails, there’s nothing better than sitting by the fireplace the lodge with a cup of steaming hot cocoa. While in Traverse City, be sure to stop at 7 Monks Taproom for a bite or some drinks. With a vast beer selection to make even the biggest beer snob in awe, you’ll be in your prime. The menu offers a wide variety of plates with local ingredients, the burgers being a popular choice. The taproom is ideal to fuel up on a big meal, pick at a bunch of appetizers as you socialize, or check out their drink menu. The atmosphere is urban and sleek, which offers the ideal environment to be in after skiing and traveling through the city. Check out their menu for daily specials, there’s always something at 7 Monks Taproom pulling you in!